The following listings are the few identified so far. If you are an Aquaponic gardener/farmer or know of anyone practicing Aquaponics in Ohio please use our contact page above to let us know. GGG Admin is on the Aqua-Ohio list-service. Most of the traffic is about Aquaculture [fish breeding]. With enough interest, perhaps we can get an Aquaponic Gardening list-service started. Extension Educator, 4H Youth Development Educator/County Dir. Lake Farmpark is a working farm located in Lake County, OH. The farm is part of the Lake Metroparks parks system and was opened in 1990. The farm is located on 235 acres. The purpose of the park is to help people understand that farm life and how it has developed over time. Lake Farmpark strives not only to help people understand the past of agriculture but also to draw attention to the present situation of the industry and see future applications. It was named one of the top 10 educational sites to learn about farming by USA Today and is open year round, except for holidays, from 9 to 5. 8800 Euclid Chardon Rd. (Rt. 6) Kirtland, OH 44094 * 440-256-2122 * 800-366-FARM * Located 25 miles east of Cleveland. This past summer (2012) an unused horticulture building was converted and refurbished into a new Aquaponics center for the Youngstown City School District. The work was done by students, teachers and volunteers. Kevin teaches sustainable and urban agriculture, and aquaponics. Savage and his students have built four aquaponics systems — a fifth system is under construction. “The kids plant, watch the germination process, and transfer the seeds, the seedlings into the aquaponics, and maintain the system through water chemistry, taking care of the fish, and up to the point where they get the harvest,” Savage said. Tresine Logsdon takes us to Tates Creek High School where science students are getting "hands on" experience with aquaculture and aquaponics. See: Food Chain Lexington below under USA Aquaponic Operations. Steven Ritz: A teacher growing green in the Bronx * 13:43 mins. A funny, enthusiastic guy that is a visionary as well. He talks fast, but the content of his message is inspiring. Look where it led his students and his community. Couldn’t we do something like his program in our schools here in Galion? Are there one,two---six teachers willing to step up and raise the Aquaponic banner? Is there a company/organization/group or individual that would build/sponsor classroom units? Will the Galion School District accept them? The Stew Pot Kitchen uses Aquaponics to make great soup - * 3:43 mins. Winter Aquaponics update w/ Rainbow Trout in Ohio * 2:15 mins. "I designed this system in Northeast Ohio to test the potential commercial applications of Aquaponic Lettuce production in Ohio over the winter months. 1/2 way through fishless cycling of my system." MKB Farms is a small family farm in the Northeast corner of Marion County. They raise beef cattle, corn, beans, and wheat. The farm was started by Mike and Brenda Kocher and has grown over the years. Brenda has an aquaponics system in her greenhouse. ALSO SEE: Friday, August 23, 2013 “Green vegetables thrive in an Ashtabula basement garden thanks to a hundred ravenous, brightly-colored fish” Happy Greens is a new business using an ancient method of farming by WKSU's VIVIAN GOODMAN. This story is part of a special series. Aquaponic Urban Farm Grows Vegetables in the Winter Snow 38 mins. In looking for a retirement business option, owners Doug and Jeni Blackburn, who have resided in Ohio all their lives and have enjoyed having their own garden during the summer, saw a growing desire among their friends and co-workers for chemical free food that is grown locally, not only in the summer months, but year round. Fresh Harvest Farm was born. Alyssa, daughter of Jeni and Doug, plays a big role in helping manage Fresh Harvest at farmers markets. Although her full time job is one of a learning specialist for elementary age children, Alyssa enjoys spending time on the farm, helping to harvest and selling fresh greens at the local farmers markets. Freshwater Farms of Ohio * 10:34 mins. Willoughby Aquatic Farm * 1 min. Willoughby Perch Farm * 4:38 mins. Lexington, Food Chain Lex * Aquaponics demo setup. * 10:08 mins. Working with Tates Creek High School and the community to develop a productive CSA for the benefit of the residents. GGG Admin spoke to Rebecca and she was very open and sharing with information we were seeking. The second video, Food Chain Lex. LargeSystem w/Tilapia shows the beginning of what we hope is a very successful operation for Rebecca and the Lexington community. Rebecca's Website. Aquaponics For Profit - Murray Hallam * 5:05 mins. A virtual tour of our 10,000 gallon aquaponics system located near Pahoa, Hawaii. The tour includes a look at the fish tank, biofilter, autosiphon, greenhouses, grow beds, compost pile, vermicompost worm bins, water and air pumps, and hydrocyclone/water vortex aeration system. Urban Food Garden Update 3-3-2012 *Calcutta * A Chanda * 5:47 mins. Check out A Chanda's many videos. Affnan's Aquaponics – Affnan’s Siphon - How It's Made Update* 19:15 mins. 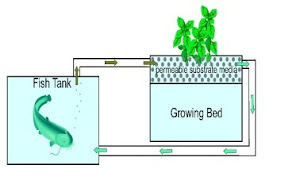 MADE Growing Systems Aquaponics Philippines, 2-2012 * 10:53 mins.